Elmbridge is one of Surrey’s most affluent and sought after areas, and regularly features as one of best places to live in the UK. Amidst this wealth, there are pockets of disadvantage in the borough where groups and communities are quite simply overlooked. The overall wealth of Elmbridge often masks these, but there are many shocking statistics about social or geographical areas of deprivation and need, and because they are hidden, they are often much harder to address. 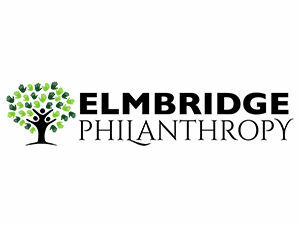 Elmbridge Philanthropy supports local community and voluntary groups who are making a difference to the quality of local community life by awarding grants to fund their work. The Fund supports voluntary effort, not just for a single cause, but across all sectors including; isolated older people, those affected by long term illness and disability, young people and families living in poverty and disadvantage. The purpose of ECF is to finance the hard work of local volunteer groups and allow their passion to have an even greater impact for the benefit of our community. We are building a fund to support disadvantaged individuals and communities across all of Elmbridge. It will bring major benefits and help inspire local giving. A grant of £1,200 was awarded to The Brigitte Trust for their Volunteer Support Groups, supporting families where there is a life-threatening illness. These Volunteers provide care and company to the socially isolated – taking them in to town for shopping, a coffee or just spending time doing everyday activities where they may otherwise struggle. A grant of £1,500 was awarded to Walton on Thames Charity KT1-2 Football for a project offering weekly free football coaching to children aged 6-14. The project specifically targets children and young people from disadvantaged backgrounds and has achieved considerable success in engaging with both hard to reach and “problem” families within the local community. Over 140 children are currently engaging with the project. 3 riders successfully raised a total of £4,325 for Elmbridge Philanthropy through the 2018 RideLondon-Surrey 100 Cycle event. We’re hugely grateful to Tony, Rupert and Ashley for their efforts. Places are available for 2019 – if you would like to raise money for good causes in Elmbridge, contact us to find out more. 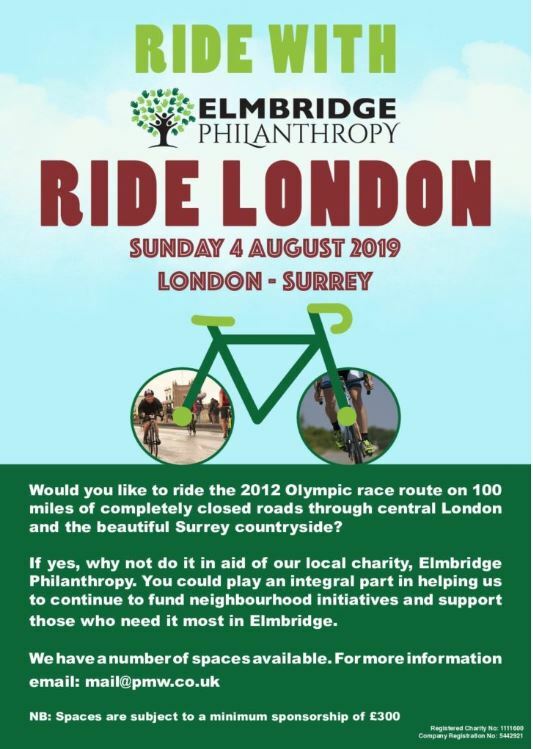 The Elmbridge Philanthropy Ride London poster can be found here! 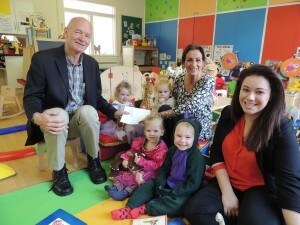 Elmbridge Philanthropy is a long-term fund that people can either donate to now, or leave a legacy to in the future. Donations can be made at any level, either as one-off donations or spread over a period of time. They can be donated as gifts of cash, legacies, shares, property or land. Don’t forget Gift Aid! Using Gift Aid means that for every pound you give, Elmbridge Philanthropy will receive an extra 25p from HM Revenue & Customs, helping your donation go further. You can download a Gift Aid form here.